Heat oven to 425°F. Lightly spray 13x9-inch pan with cooking spray. pizza crust dough in pan; press dough to edges of pan. In small bowl, mix preserves, barbecue sauce and chilies. Spread mixture evenly over dough to within 1/4 inch of edges. Top with chicken, onion and cheeses. Bake 12 to 20 minutes or until cheeses are melted and edges are deep golden brown. Sprinkle with cilantro. 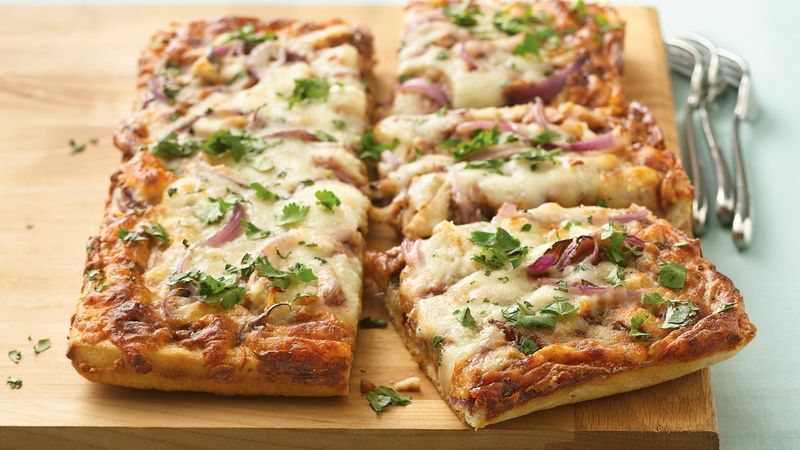 Chipotle Chicken Pizza - on the grill!